COSSA and SAGE Publishing hosted a Congressional briefing on Wednesday, October 4 on Social Science Solutions for Health, Public Safety, Computing, and Other National Priorities. 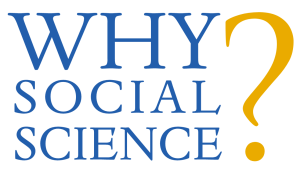 The event featured authors of past Why Social Science? blog posts, including Representative Daniel Lipinski (D-IL), Peter Harsha of the Computing Research Association, Nancy La Vigne of The Urban Institute, and William Riley of the National Institutes of Health. Panelists discussed the importance of social science applications to preventing cyberattacks, how social science can help identify the causes of health disparities, and how behavioral reinforcement or “nudges” can be incorporated into federal policy. A complete recording of the event is available on COSSA’s website. This week’s Why Social Science guest post comes from Sara Miller McCune, Founder and Executive Chair of SAGE Publishing, who writes about how her personal and professional experiences have been shaped by research in the social sciences. Read it here and subscribe. The Senate hopes to pass a budget resolution for fiscal year (FY) 2018 this week while Congress’ to-do list and uncertainty surrounding the FY 2018 spending bills continues to grow. With only 37 working days for the Senate and 28 working days for the House left in the year, Congress hopes to pass a budget resolution, overhaul the tax code, create a plan to fund the government after December 8, and strike a deal to raise the debt ceiling. The House narrowly passed a budget resolution in early October that proposed major cuts to entitlement programs and non-defense discretionary programs, which includes the federal basic science agencies. Providing more uncertainty for the Senate is the absence of Senator Thad Cochran (R-MS) this week as he recovers in Mississippi from a medical issue. Cochran is the chair of the Appropriations Committee and a reliable vote for the Senate’s narrow Republican majority. Keep up on the latest funding developments on the COSSA website.